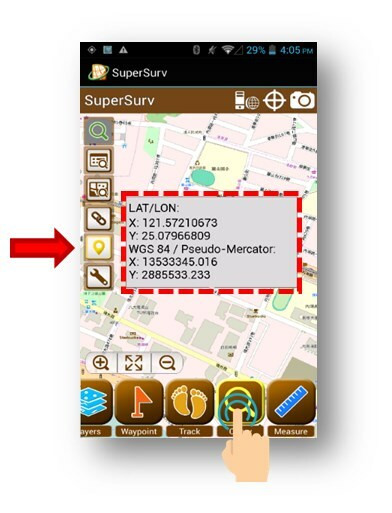 SuperSurv for Android is a well designed and multifunctional mobile GIS app, which can help field surveyors to collect spatial data with tablets or smartphones, to find the position with GPS, and to record the track log, etc. 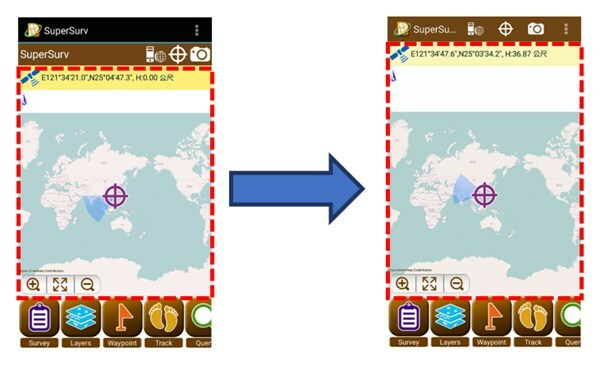 Furthermore, SuperSurv supports the settings of global coordinate systems and allows users to save the collected point, line, polygon features as SHP or GEO files format for further applications. 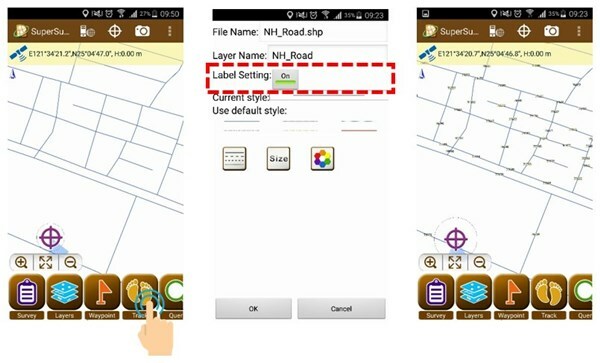 Distinguished from previous version, several important features are added to the newly released version of SuperSurv 3.3 for Android, offering a smoother and more easy-to-user user experience. In this version, users will have a bigger and simpler user interface. The Query function now allows you to find the accurate position (longitude and latitude) that you tap. Choose the Layers setting and switch the Label setting to on, the labels would be shown on the map. Now you can download the SuperSurv 3.3 on Google Play. The free version allows users to try the complete functions for 7 days. How Can SuperSurv Help Your Exercise Plan? Doing sports can contribute to blood circulation and enhance the strength of heart and lung. According to medical research, doing exercise on a regular basis can relieve pressure from work at once. But some sports need to be carried in certain fields like golf, tennis, and badminton, thus many people choose the bicycle as an alternative. Do you know that keep regular exercise with the mobile app of GIS will help you to manage your exercise plan effectively? We would show how to use SuperSurv to keep a bicycle diary. First, select the Track function and start to record your movement. If you finish the exercise; then you can tap “Stop”. Follow these steps, and you will acquire the complete log as the personal diary of exercise when you ride the bicycle. Afterwards, you can check the distance and path which you had a ride. More than that, you can save some special and useful locations in the layer (e.g., the spot that has great scenery, convenience stores and where to find bike pumps). Not only for the bicycle but other outdoor exercises, SuperSurv could help you in different ways. From now on, take your equipment and SuperSurv and start to create and record your journal of bicycle.